This model employed Berluti's famous Venezia leather for both its strap and its dial. 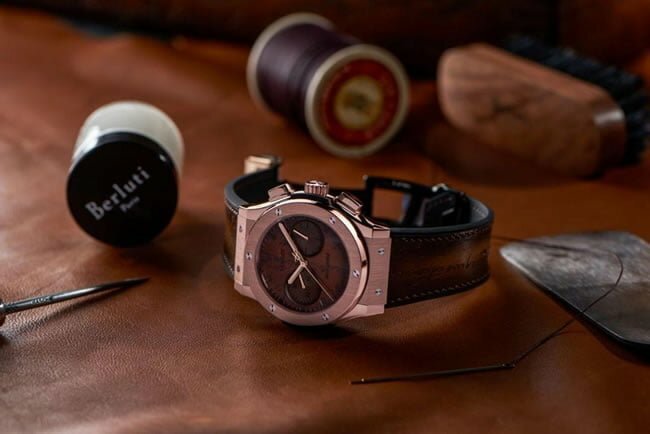 The new Classic Fusion Chronograph Berluti fuses Hublot’s creative watchmaking genius with the innovative — and inimitable — patina of Berluti leathers. 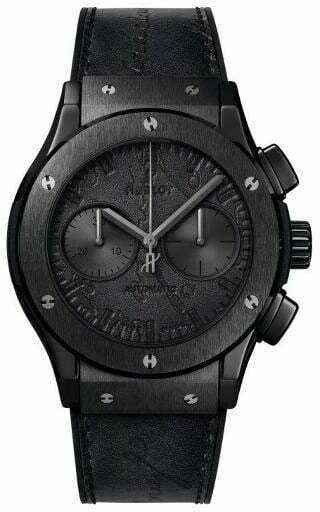 In 2016, Hublot released its first innovation: the Classic Fusion Berluti line. In honour of Berluti’s 120th anniversary these pieces encapsulated the inimitable style of the famous shoemaker in a watch for the first time. This model employed Berluti’s famous Venezia leather for both its strap and its dial. Developed by Olga Berluti, a proud descendent of Alessandro, this exclusive tanning technique needed to be developed into a delicate and complex process before it could be used to craft a watch. 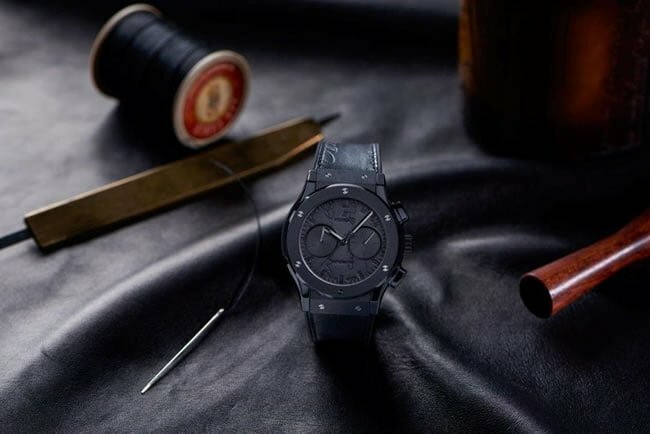 For example, all of the moisture had to be removed from the leather before it could be enclosed within the sapphire crystal. 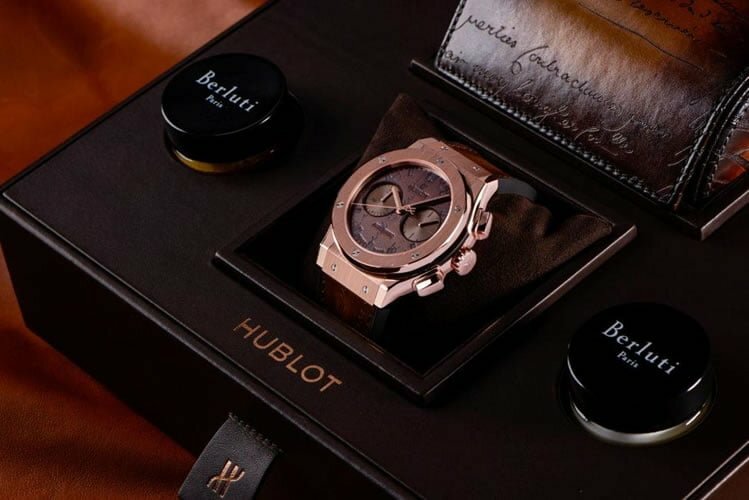 One year on, Hublot decided to take its use of Berluti’s signature leather even further, combining this prestigious, natural material with its Classic Fusion chronograph. Evidently a more complex task, as the dial features two counters at 3 o’clock and 9 o’clock, craftsmen had to go back to the drawing board and develop new practices to ensure the leather could be made stable despite these new additions.